I have been deeply indebted to Huston Smith over the years for his books and films, which I have used in many of my classes. I first came to know him 35 years ago in a group that met for several years for a weekend of discussion on science and religion. I edited some of the papers from that group and was delighted to include his essay on Taoism entitled, “Tao Now: An Ecological Testament.” His continuing interest in science is evident in many chapters of his new book, Why Religion Matters. I am in complete agreement with the volume’s recurrent theme that we must distinguish science itself from scientism. 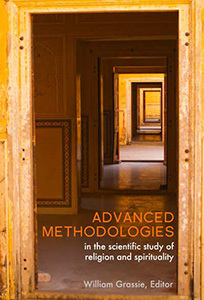 He defines scientism as the claim “first, that the scientific method is, if not the only reliable method of getting at the truth, then at least the most reliable method, and second, that the things science deals with — material entities — are the most fundamental things that exist” (p. 60). He rightly insists that materialism is a philosophical belief and not a scientific conclusion. If science is selective it cannot say whether its account of reality is complete. He is also aware of the limitations of religion: “Religionists should keep their hands off science as long as it is genuine science and not larded with philosophical opinions to which everyone has rights” (p. 201). But in the case of evolution Huston and I disagree on where the line should be drawn between scientism and science. Huston holds that such views have been ignored by existing centers, such as the Center for Theology and the Natural Sciences (CTNS) in Berkeleyand the ZygonCenterin Chicago. He says that “when religion enters the picture, scientists close ranks in supporting Darwinism, with CTNS and Zygon right in there with them. To my knowledge, no one critical of the theory has been published in Zygon or included in a major CTNS function” (p.77). However Huston himself has actually spoken at several CTNS workshops, and speakers at a recent CTNS conference included Duane Gish from the Institute for Creation Research and Stephen Meyer from the Discovery Institute. Huston proposes the establishment of an Equal Opportunity Center for Science and Religion with two departments. The first department would act as “a watchdog on scientism.” The second would sponsor monthly debates between two people “on issues where scientific and religious understandings appear to conflict, the obvious ones at present being Darwinism and intelligent design . . . . The full spectrum of positions in question would be allowed a hearing, even short-term creationism on the evolution front” (p. 204). The criticisms of neo-Darwinism which Huston Smith cites have not been ignored by the scientific community, as he claims, but have been answered in great detail. For example, one would expect few fossils of intermediate forms if the transitions were relatively rapid. But there is widespread agreement among paleontologists that some fossils do represent intermediate forms — such as forms intermediate between whales and mammals, or Archaeopteryx intermediate between reptiles and birds, though probably not an ancestor of present-day birds. To be sure, the explosion of diverse forms of life early in the Cambrian period was rapid on a geological timescale, but it still covered thousands of generations. Such relatively rapid changes would be consistent with Stephen Jay Gould’s theory of punctuated equilibrium which challenges Darwinian gradualism but accepts the broad framework of Darwinism. Contrary to the statement that there is no evidence of common ancestry, extensive evidence has been found by very diverse methods, including bioregional, anatomical and biochemical studies of living species. For example, the enzyme cytochrome-C in humans today consists of a sequence of 104 amino acids. In the comparable sequence in rhesus monkeys only one of these amino acids is different. Horses differ in twelve, and fish in 22, indicating increasingly distant kinship. Of course no scientific theory can be proved with certainty, especially if it deals with the distant past. The strength of evolutionary theory lies in its scope in coherently integrating data from a wide range of phenomena in many differing fields of science, and in suggesting testable hypotheses for further research. Science studies only the relationship between events in the natural world. Scientists have to assume methodological naturalism, that is, they seek explanations in terms of natural causes, though they do not have to assume philosophical naturalism, the claim that nothing exists beyond the scope of science. Huston himself insists on the limitations of science, especially the need to use controlled experiments. But how can we do controlled experiments involving God? In the case of evolution we cannot actually control past events, but we can experimentally test various components of evolutionary theory. The authors cited by Huston do not offer testable hypotheses for scientific research. Their project consists of criticizing aspects of evolutionary theory, not in improving existing theory or proposing a fruitful alternative that might guide research. In fact, by invoking supernatural intervention they discourage the search for natural causes. While virtually the entire scientific community agrees on descent with modification from earlier ancestors, there are debates within the scientific community about the mechanisms of evolutionary change. In addition to mutations and natural selection, some authors talk about developmental pathways which constrain the range of possible viable forms. These could be viewed by the theist as a form of built-in design, but they do not represent divine intervention at discrete points in an otherwise continuous process. Other biologists suggest that new directions in evolutionary history were initiated not by random mutations subsequently selected for their adaptive benefits, but rather by the initiatives of organisms which were subsequently supported by mutations that conferred a selective advantage (the so-called Baldwineffect). Environments select organisms but organisms also select environments. All these proposals represent expansions and modficiations of neo-Darwinism rather than its outright rejection. Huston says that you cannot get more from less, or life from dead matter. I would reply that this is occurring every day in the growth of an embryo. Organisms are organized in a hierarchy of levels which are just as real and causally effective as their component atoms (“dead matter”). The whole is more than the sum of its parts because it incorporates additional information and because the interactions of its parts are nonlinear. Events at higher levels constrain events at lower levels effecting a top-down influence. Even in the inanimate world, theories of complexity and self-organization deal with whole systems whose behavior cannot be predicted from the behavior of their parts. Huston supports “intelligent design,” but we should note that the phrase is used in diverse ways by recent authors. Some scientists, such as Paul Davies, says that design is built into the basic laws which made evolution possible. For them there is no conflict between design and a modified neo-Darwinism. Others hold that design was introduced by divine intervention at specific points in past history. In his book, “Darwin’s Black Box,” the biochemist Michael Behe describes the complexity of biochemical systems which he says must have arisen all at once because they could not have arisen by stages (though his scientific critics dispute this claim). Huston Smith seems to assume intermittent divine intervention. 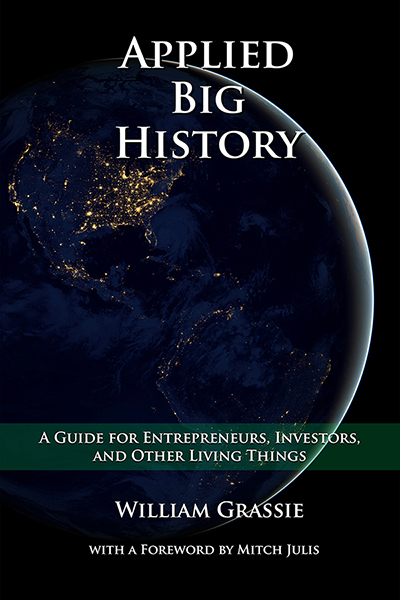 For example, he suggests that at the first session of a high school class on evolution a teacher should hand out a statement that science has discovered some of the mechanisms by which life has emerged but that “there is so much that we still do not know that plenty of room remains for you to fill in the gaps with your own philosophical or religious convictions” (p. 165). I my view, philosophy and religion put science in a wider context rather than filling gaps in the scientific account. The God of the gaps has steadily retreated in the history of modern science. Proponents of intelligent design usually assume a fixed plan or blueprint which is imposed on the world, rather than an interaction between God and a dynamic and evolving world. A fixed plan would be consistent with Huston’s understanding of the eternity of the Absolute. Human freedom is ultimately unreal if past, present, and future are indistinguishable in God’s timeless vision. All design arguments are also challenged by the presence of imperfect design, evil and suffering in the world. Huston minimizes this problem by asserting that evil is ultimately unreal. He says that the world is perfect within the divine totality of which it is a part. I would defend an alternative metaphysics in which temporality, interdependence, and creativity are central. Philosophical proponents of intelligent design, such as William Dembski and Stephen Meyer, write in the tradition of natural theology in which science is used as evidence of the existence of a designer. My own approach is not natural theology but a theology of nature in which one asks how nature as understood by science is related to the divine as understood from the religious experience of a historical community. I believe we should be open to the reformulation of traditional doctrines in the light of science, but always in the context of the worshipping community. I would think Huston would find this approach more congenial than the rationalistic arguments of the natural theology tradition. In my new book, When Science Meets Religion, the successive chapters dealing with different sciences are all organized according to my typology of four alternative ways of relating science and religion: Conflict, Independence, Dialogue and Integration. Huston Smith perpetuates the Conflict model which is commonly presented by the media. On the one side the media feature the atheistic scientists who believe in evolution but not God. Opposing them are the biblical literalists who believe in God but not evolution. Huston is not a biblical literalist and we are all indebted to him for his writings on myth, ritual, and religious experience in religious life. However he supports the assertion made both by atheistic scientists and by biblical literalists that a person cannot with integrity believe in both God and evolution. He devotes two pages to defending the Kansas Board of Education from what he feels was unfair coverage by the press in 1999, but he does not make a single criticism of the Kansas Board’s ruling. My second model of science and religion is Independence, the thesis that the two fields cannot conflict because they ask differing questions and deal with separate domains. This view was at one time supported by neo-orthodoxy and existentialism and then by analytic philosophy which insisted that scientific and religious language serve totally different functions in human life. Another version of Independencewas presented recently in Stephen Jay Gould’s Rocks of Ages, which argues that science deals with facts whereas religion deals with values so they cannot conflict. Huston discusses Gould’s position and justifiably rejects it because it reduces religion to ethics (p. 70). 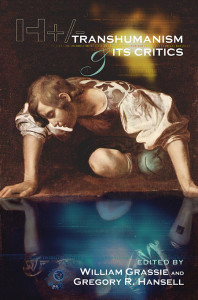 But in some of his earlier writings (such as the volume Primordial Truth and Postmodern Theology, in which he and David Griffin wrote alternate chapters) he supports another version of Independence, the belief that science deals with secondary causes connecting events in the world, while religion asserts that on a very different level God is the primary cause and transcendent source of all that is. I suggest that if one accepts the distinction of primary and secondary causes one does not need to look for gaps in the scientific account of secondary causes. The scientific account is complete on its own level. 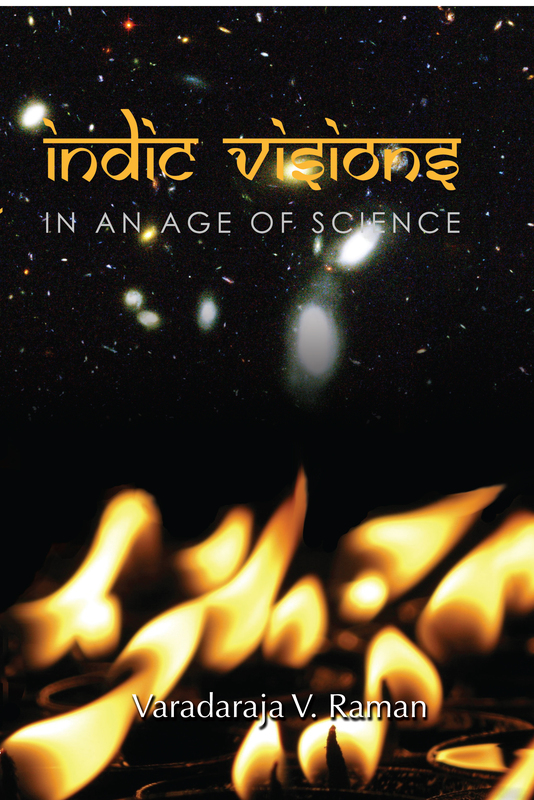 I would also note that some authors (such as Richard Jones in Science and Mysticism) have endorsed the Independence thesis because the methods and goals of meditation are radically different from the methods and goals of science. 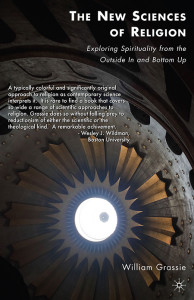 One might expect Huston’s insistence on the primacy of religious experience rather than doctrinal propositions to lead him to disengage religion from the conflicts with science that have been prominent in the past. 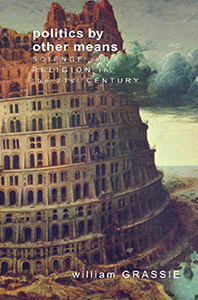 The third model of science and religion I call Dialogue and there are some fine examples of it in Huston’s book. He draws interesting parallels between the holism of the mystical vision and the holism and nonlocality of quantum physics, especially David Bohm’s quantum theory. He devotes a whole chapter to light in relativity theory and the universality of light as a metaphor in religious life. He seems to go beyond metaphor in suggesting that if one traveled at the speed of light, time would stop and one would participate in eternity. Light, he says, is the instrument through which Spirit creates the universe (p. 140). I am wondering why Huston sees more possibility of constructive dialogue with physics than with evolutionary biology. I suspect it is partly because evolution is more threatening to both human dignity and a pre-existing divine design. In addition, scientism may be more common in a new science than in an older one. Newtonian physics was impressive in its explanatory power in the 18th century and it was easy to think it could explain everything — until relativity and quantum theory showed its limitations. Molecular biology has recently shown its impressive explanatory powe and it is tempting to think it can explain everything. Perhaps we are only beginning to see the value of a more holistic viewpoint in biology as well as physics. My fourth category is the Integration of science and religion. I have explored Integration within the framework of process philosophy, as John Haught has done in his recent book, God After Darwin. Huston is critical of process thought. He emphasizes eternity over temporality, and divine transcendence over immanence. He accepts ultimate mystery and paradox, whereas I seek intelligibility and coherence, though I acknowledge that they are unachievable goals. Another version of Integration is given by Arthur Peacocke who says that evolution is God’s way of creating. He defends continuing creation as an open-ended history in which chance and human freedom have led to novel and unpredictable events. He holds that God is at work not by occasionally intervening supernaturally but by empowering and acting through the creatures of the world. Like Huston, Peacocke speaks of God as a top-down cause within a hierarchy of levels, but he holds that these levels are integrally related to each other. In short, I think Huston has given support to the Conflict thesis because he underestimates the weight of scientific evidence favoring neo-Darwinian theory, which he dismisses as the product of scientism. I would not expect him to favor the Integration thesis because of his sense of mystery and paradox and his emphasis on the limitations of rational systems of thought. But I believe his interest in mysticism would be compatible with theIndependenceposition. And I am particularly hopeful that he will explore the path of Dialogue with the community of biological scientists as he has done with physical scientists.